Easily add a stylish and elegant touch to your bathroom with the Sydney 48-1/2 in. Vanity in Dark Cherry. 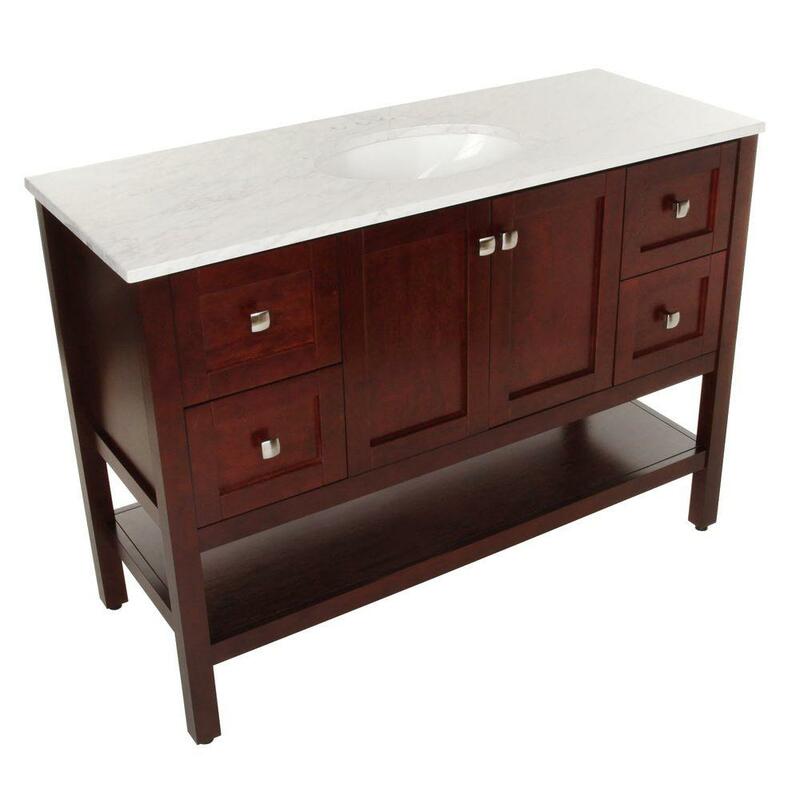 This vanity has plenty of interior cabinet space with four full-extension drawers and an open bottom shelf. The countertop comes pre-drilled for a 4 in. centerset faucet and is mold, mildew and bacteria-resistant.